Many families in the Early Intervention program speak different languages at home. This diversity is good for our communities, state, and society. By supporting bilingual families, we are helping children succeed. However, some parents have questions and concerns about children learning more than one language at once. 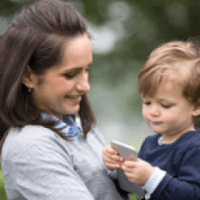 Should I talk to my child in my home language? Yes. Talking to your children from birth is important for both emotional well-being and language development. Children who consistently hear two languages at home will learn to speak both. How fast they learn both languages can vary. They are most likely to start using the language of their mother or primary caregiver while still developing their other language. Children benefit emotionally from knowing their home language. Children grow and learn best when they feel safe and secure. 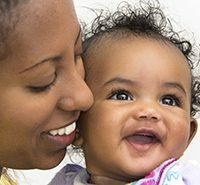 Building a connection with your home language will offer another way to let your child know they are an active, vital part of your life. Using your home language connects your children to you, the rest of their family, and their culture and community. Research also shows that children who speak two or more languages also benefit in cognitive development. Speak your language with your child at home every day. How can my child learn to talk in two languages? Children become bilingual early from hearing more than one language at home or from hearing different languages in different settings, such as home and day care. Babies older than 6 months begin to show a preference for the language they hear most frequently. Children who hear and learn to talk in both English and another language may meet language milestones a little bit later than those with only one language. This is normal. Often bilingual children mix their two languages, and this is perfectly normal. Using words from both languages is quite common and actually helps children learn and sort out some of the vocabulary and rules in their brain. As they grow, they will get better at knowing the difference between the different languages. What if I’m worried that my child’s language is delayed? Children who do not speak or who are very delayed in reaching expected language milestones may have a specific language disorder (SLD). 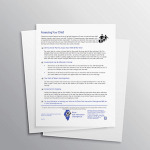 If you’re concerned your child may have one, then she should be evaluated in her dominant language. Research indicates a bilingual child with an SLD will display similar delays in both languages. Ideally, this child would receive intervention in both languages. There may be a therapist available who speaks your home language. If not, talk to your provider about specific activities you can do with your child in both English and your home language. ← What Happens During a Typical EI Visit?